Japan has a great tradition of ceramics production that goes back many centuries. From the mass-produced dinnerware available in the dime stores of old to the refined delicacy of Imperial Imari wares, Japanese kilns have provided ceramics that prove their worth in their usefulness or their exquisite beauty. If you own a set of Japanese dishes and want to find out what they're worth, it's not a hard task. Examine your dishes carefully. Be critical. Condition is crucial when determining the value of any ceramics, especially those from Japan. Cracks, hairlines, chips and conspicuous wear all diminish value. Consider age. Generally speaking, Japanese dishes from the 20th Century are less valuable than those from previous centuries. Look at quality. Hand painted dishes are more valuable than transferware and other mass-produced items. Crisp, fine painting usually beats crude painting. Use a jeweler's loupe or magnifying glass to examine brush work up close. Research prices by consulting ceramics or porcelain price guides, which are usually available from book retailers and public libraries. Look, too, at completed listings on Ebay to see what similar dishes have sold for. Visit antiques stores. Take a few samples to Japanese ceramics dealers and ask questions. Antiques shows are an excellent place to meet a lot of dealers in a single day. 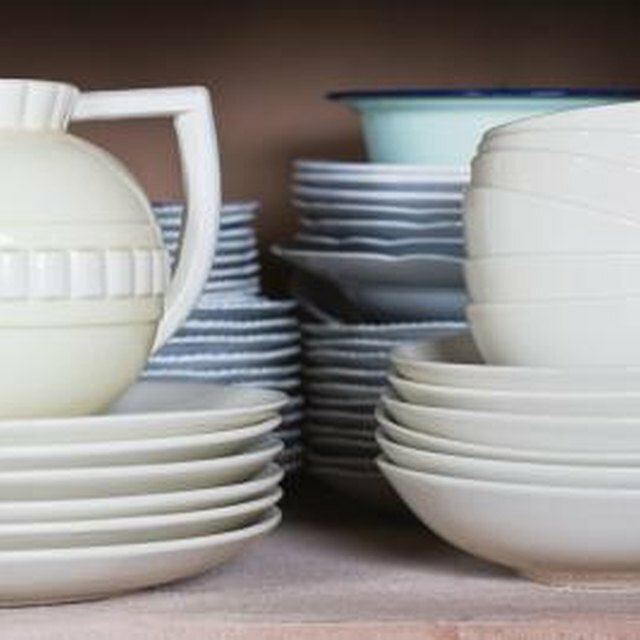 Take your dishes to a certified appraiser. An official appraisal will cost a fee, so do this only if you have good reason to believe your dishes are valuable. Look for an appraiser who is a member of a national appraisers society. My Corelle Dishes Have Some Metallic Marks From Silverware, How Can I Get Rid of Them?